Some of the greatest innovations in outdoor gear, and in general, are born out of a marriage between necessity and creativity. Existing options don't meet all needs, or fall short in specific areas, and we can either choose to accept what's available, or create something new. 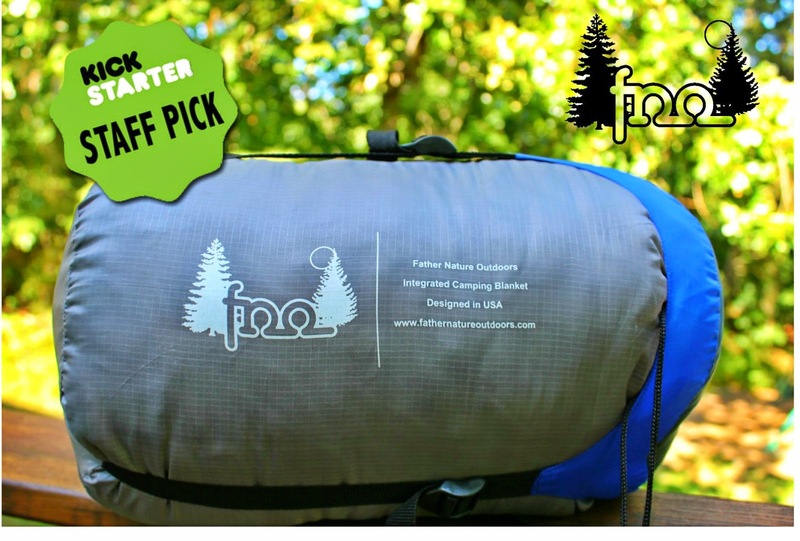 The team behind Father Nature Outdoors chose the latter, and in 2011, the idea for the Integrated Camping Blanket was born. The Integrated Camping Blanket combines features from two classic outdoor sleeping options - backpacking quilts and sleeping bags. Quilts are easy to pack, versatile, easy to get in and out of, and a cinch to set up. But they're drafty, and if you toss and turn, you'll find you need to tuck yourself back in frequently. Sleeping bags are generally warmer, keep drafts out, and give you additional options for comfort, like hoods. But they don't allow for much freedom of movement, and when you're lying down, a good bit of the insulation underneath you is compressed. Image courtesy of Father Nature Outdoors. As part of a collaborative effort to test, provide feedback, and improve the design of the Integrated Camping Blanket, I had the chance to put the blanket through its paces. It's designed to be used like a three season backpacking quilt, but if you're looking for a more sleeping bag-like experiences, you have options. 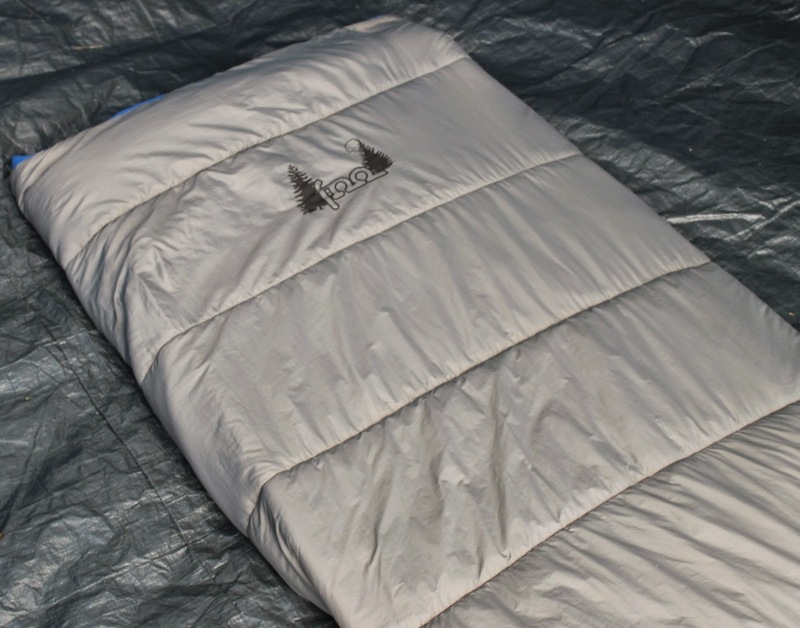 In warmer temperatures, simply cover up with the Integrated Camping Blanket, and use the footbox sleeve for your feet, or slip your sleeping pad inside. If it's a bit cooler out, the Integrated Camping Blanket can be secured around your sleeping pad and clasped shut like a sleeping bag. You can also slide your sleeping pad into the footbox sleeve and buckle the blanket together for the best of both worlds. Two blankets can also be paired together as a couples sleeping bag. Most often, I found myself using the Integrated Camping Blanket like a quilt. I lay down, slip my feet into the footbox, and curl up; having my feet covered when I'm sleeping is generally a must. The Integrated Camping Blanket allows me the freedom to throw the covers off without dealing with a zipper, but still lets me keep my feet tucked in. The FNO team has plans to add an elastic band beneath the footbox in order to keep the footbox snug beneath the sleeping pad and eliminate drafts. The blanket comes with its own compression sack. Image courtesy of Father Nature Outdoors. Given I use inflatable sleeping pads almost exclusively, I love that the blanket integrates with just about every sleeping pad. But if you're a Therm-a-Rest Z Lite Mattress user, you might not find it as comfortable, given you're in direct contact with your sleeping pad. The FNO team notes that oval self-inflating mats work best with the version of the blanket I tested, and they're working on prototyping new version that work on a wider range of pads. During testing, I found it worked well with my Therm-a-Rest NeoAir All Season Air Mattress. When I tested the Integrated Camping Blanket as a sleeping bag, I found the loop closures keep the blanket folded over and secured better than snaps on other quilts I've tried, which is great. I'd love to see one or two more loops for a more secure closure, though the draft collar definitely helps keep the heat in when I want it. The Integrated Camping Blanked isn't just for people! The blanket is also durable, but soft. The outer shell is ripstop nylon, the inner shell is nylon, and the blanket is filled with superloft synthetic insulation. The FNO team is looking at different fills for future product releases in addition to a slimmer, lighter design. The design I tested fits folks up to six feet tall and 200 pounds. Bottom line? For an MSRP of $159, I'm incredibly impressed by what the FNO team was able to create. 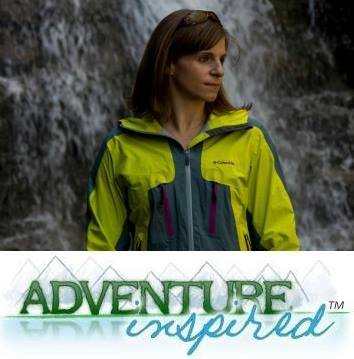 The Integrated Camping Blanket is a versatile, well designed product you can use in your tent, or around the house, which is more than I can say for any sleeping bag I've tried. I'd love to see a few additional loop closures for a more secure fit, and a way to avoid direct contact with my sleeping pad. I can't wait to see what the team comes up with in the future. Huge thank you to the FNO team for providing me with a complimentary blanket to test, and as always, the opinions expressed here are my own. 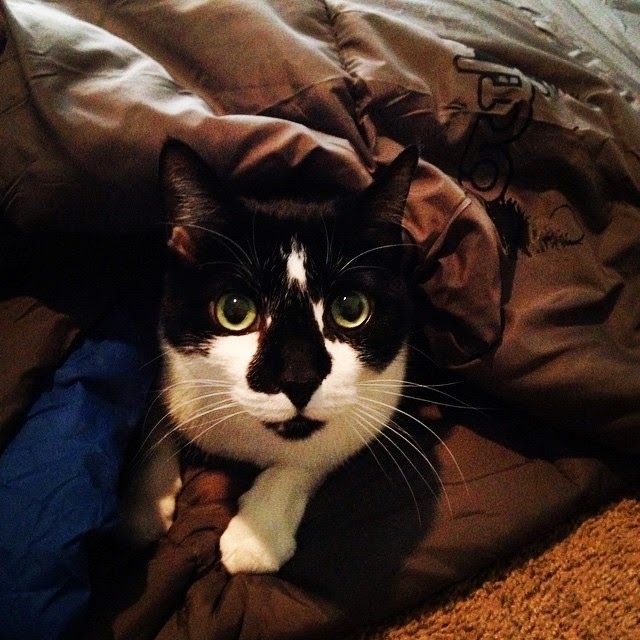 Have you ever tried a camping blanket? Think you'd give this one a go?